Born in 1980 in Tel Aviv (Israel), Saar Berger began his musical education at the Rubin Academy of Music at the University of Tel Aviv (2002–2004) and in Jerusalem (2004–2005) with Chezi Nir and Michael Slatkin as well as in Hamburg with Prof. Michael Höltzel. Subsequently he studied with Marie Luise Neunecker at the Academy of Music ›Hanns Eisler‹ in Berlin (2005–2007) and completed his studies at the Frankfurt University of Music and Performing Arts with Erich Penzel und Esa Tapani (2007–2008), adding a master’s degree in performance. In addition to participating in the Karajan Academy of the Berlin Philharmonic Orchestra in 2006, Saar Berger received study grants from the America-Israel Cultural Foundation. In 2005, he was awarded the Zvi and Ofra Meitar Family Fund Award and First Prize from the America-Israel Cultural Foundation. Saar Berger has played with the Israeli Opera Tel Aviv, with the Israel Symphony Orchestra (2001–2005) and numerous other orchestras, including the West-Eastern Divan Orchestra under Daniel Barenboim, the Deutsches Symphonie-Orchester Berlin, the Kammerphilharmonie Potsdam and Kammerphilharmonie Bremen, the Munich Chamber Orchestra, the Bavarian Radio Symphony Orchestra, the hr Symphony Orchestra and the Orquesta Sinfonica Pamplona in Spain. He has also appeared frequently with various orchestras and ensembles. In 2010 he performed the world premiere of Dai Fujikura’s Horn Concerto ›Wava Embraced‹ in Bergen (Norway) with the Bit 20 New Music Ensemble. This was followed in 2011 by the world premiere of Anthony Cheung’s Concerto for Horn and Orchestra ›Fog Mobiles‹ with the hr Symphony Orchestra, and in 2012 with the League Composers Orchestra in New York. In 2012 he performed the Scottish first performance of Richard Ayres’ Horn Concerto with the Scottish BBC Orchestra in Glasgow, the Slovenian first performance of ›Sonic Eclipse‹, and a double concerto for trumpet, horn and ensemble by Matthias Pintscher at the Festival Slowind in Ljubljana. 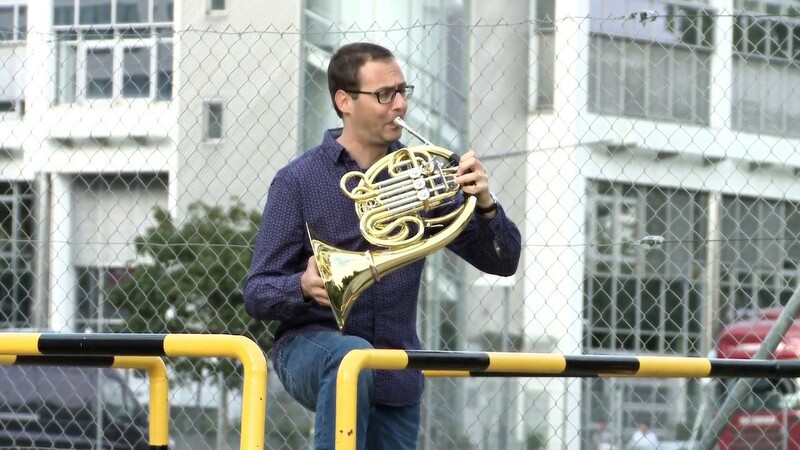 In 2013 he gave the Israeli first performance of the Double Concerto for Horn and Trombone by Benedict Mason with the 21st Century Ensemble under the baton of Ilan Volkov. Saar Berger teaches at the International Ensemble Modern Academy (IEMA) as well as the Academy for Music and Performing Arts in Frankfurt / Main. 2013 have seen the release of his double portrait CD on the label Ensemble Modern Medien.